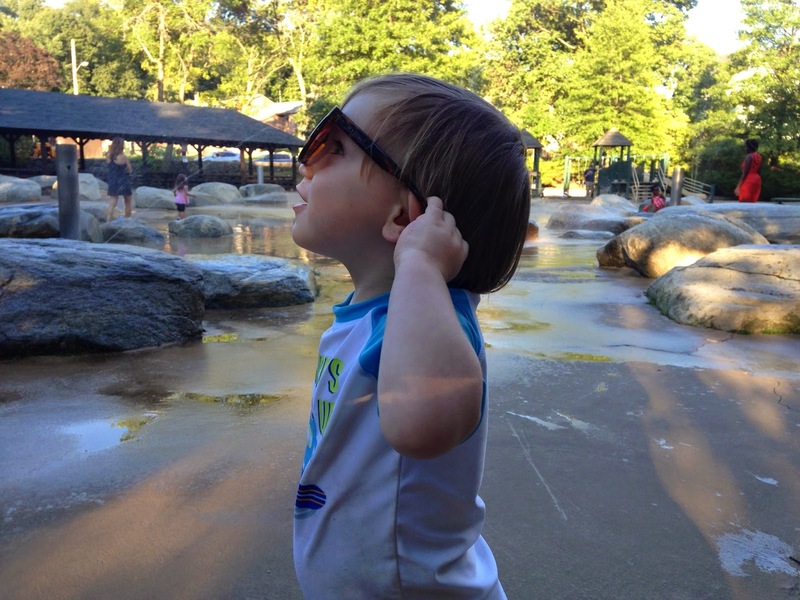 In my last post, I shared just a few of our Sparkling Summer Adventures. I realized as I was writing, that we had so much fun this summer, one post just wasn't going to cut it. So, without further ado, here's the second installment. 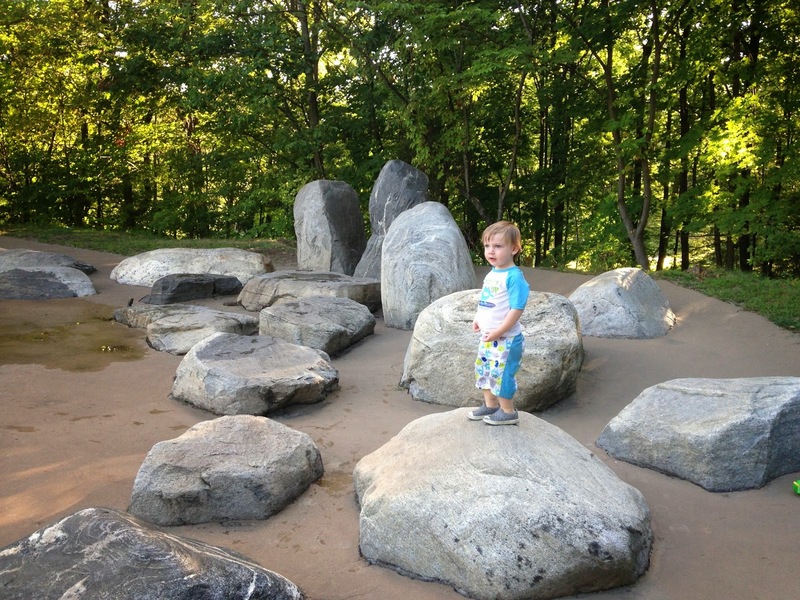 Because I became so enamored with Walden Pond (how can you blame me...I could sit in the water and be happy while Leo played in the sand at the edge. Heaven!) 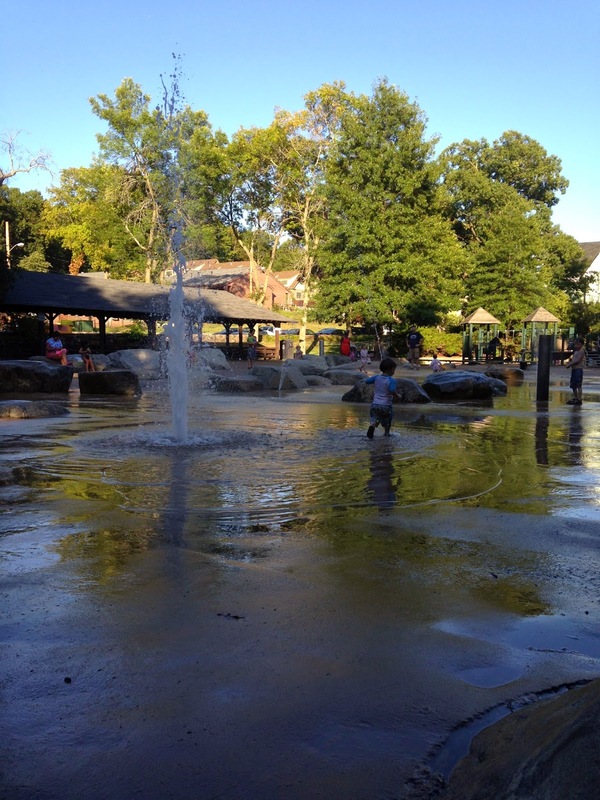 we didn't make it to as many of the cool local splash pads in our area as I would have liked. 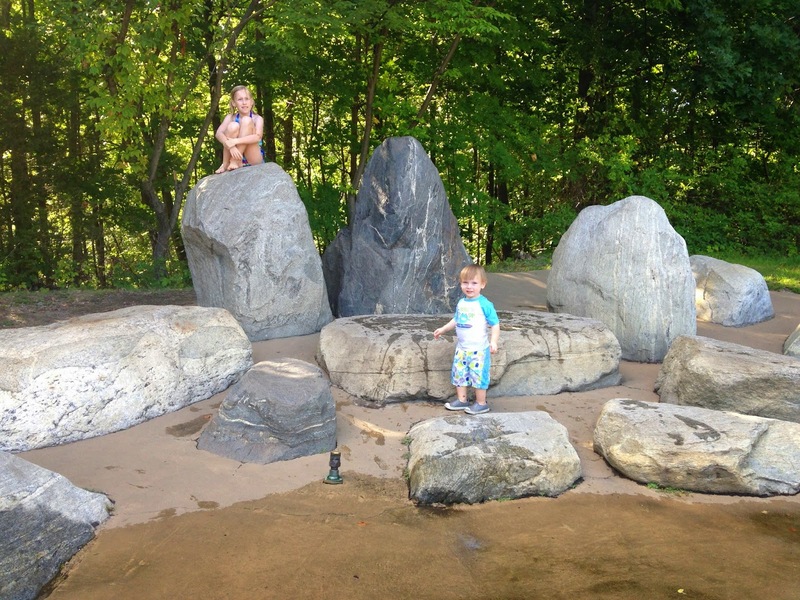 We took one trip to Beaver Brook Reservation, which has a great playground and sprinkler park, with sprays of water mixed in with giant boulders. But, Leo was not very into the sprinklers this summer. He didn't seem to know that he could run away from the stream of water. Instead, he would freeze in place and get an exasperated look on his face. Let's face it, half of the reason I go to these places is so I can get wet too. So once I discovered he was comfortable at the pond, that was the destination of choice. Last week, however it was a very hot day. 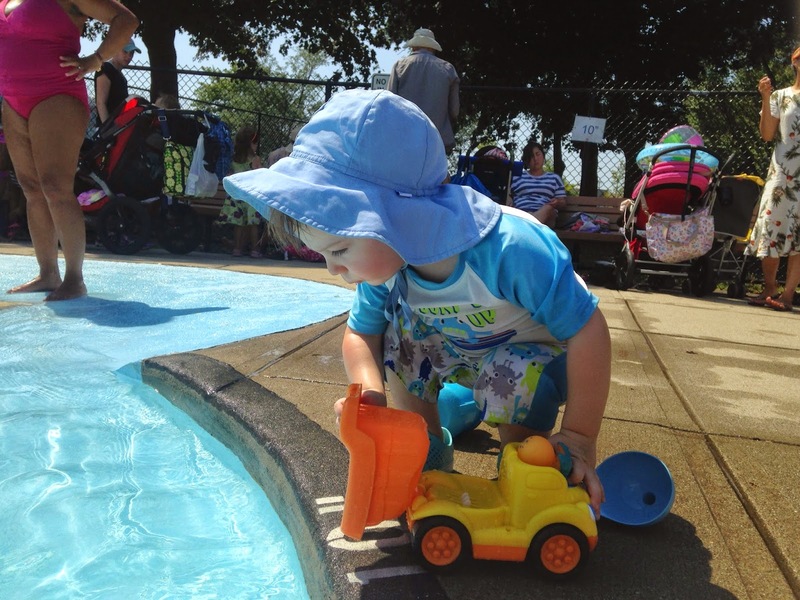 We had just been to the pond, and I had one more splash pad on my list to check out. The Artesani Playground right on the Charles River. Again, within twenty minutes of my house. I had been told that this wading pool had a graduated entrance, similar to a beach, and the water sprays only in the center, so it's easy enough to avoid. 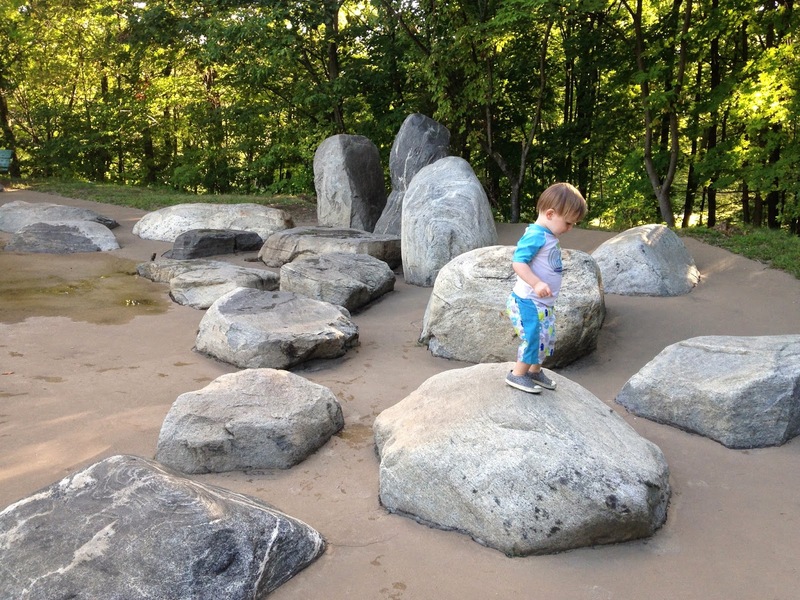 Add in the scenic location along with river with geese and kayaks to watch and rocks to throw, as well as to playgrounds, and you've got a mini toddler heaven. Leo probably most enjoyed throwing rocks into the river, but he did make a few friends by sharing his toys in the pool. Another event we happened upon last minute through the wonders of FB friends, is the Middlessex County 4H Fair in Westford. 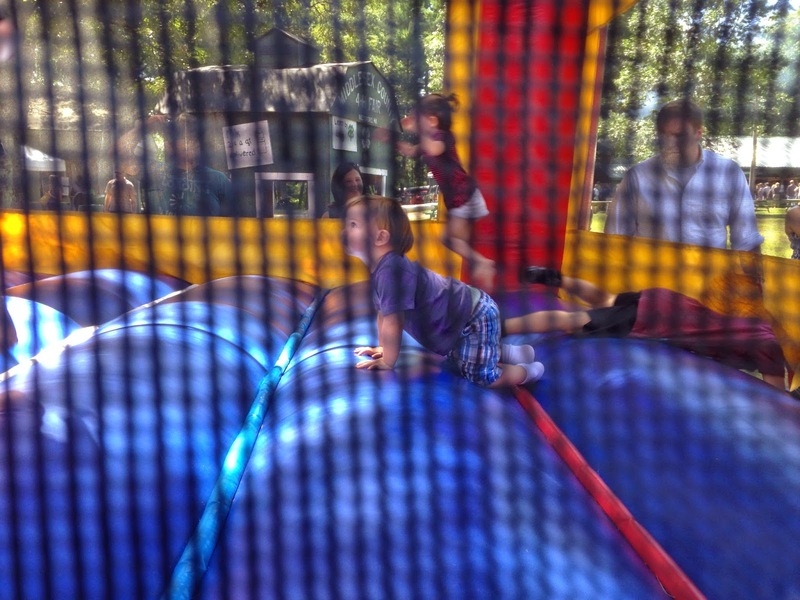 This was a charming little event that was not overly crowded, and had tons of activities geared toward children. 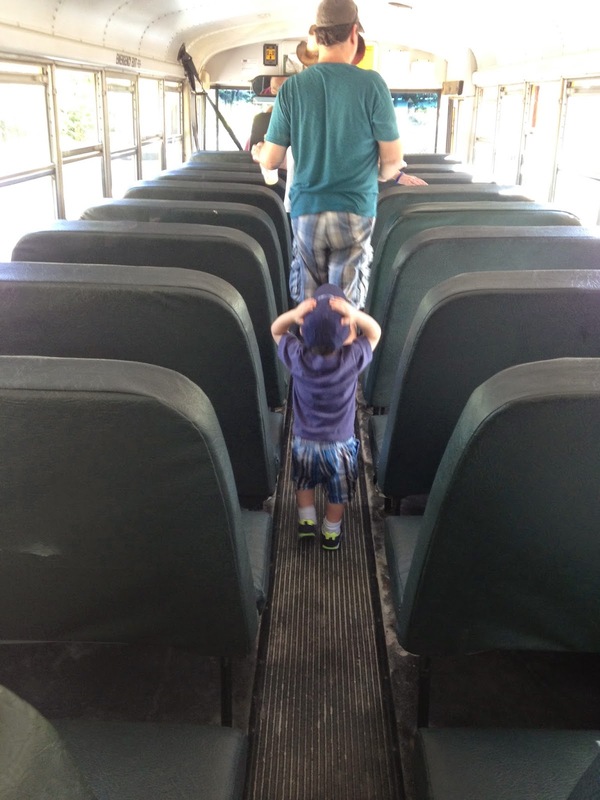 Leo rode a school bus shuttle from the parking lot, got a balloon monkey from a clown, went in a bouncy house, watched a rabbit race (Lady Go Go was the winner), and rode a pony. And of course, we saw plenty more sheep, cows, pigs, chicken and horseys. I will definitely keep my eye out for this event next summer. I think it is traditionally one of the last weekends in August. 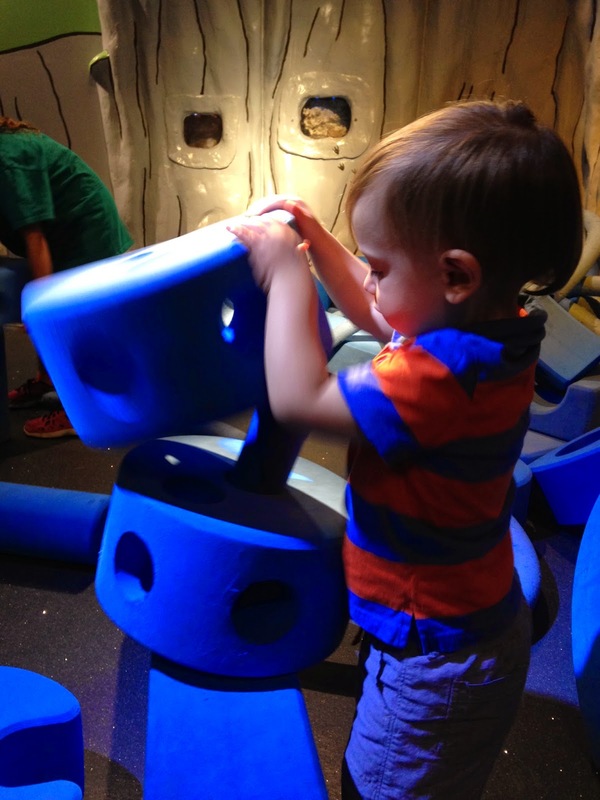 A favorite destination any time of year, is the Boston Children's Museum. Leo and I spent a few fun Saturday mornings there while Greg had to work. While it's a great rainy day destination, we really enjoyed hanging out on the waterfront outside as well, eating our lunch, people watching, and of course...climbing. 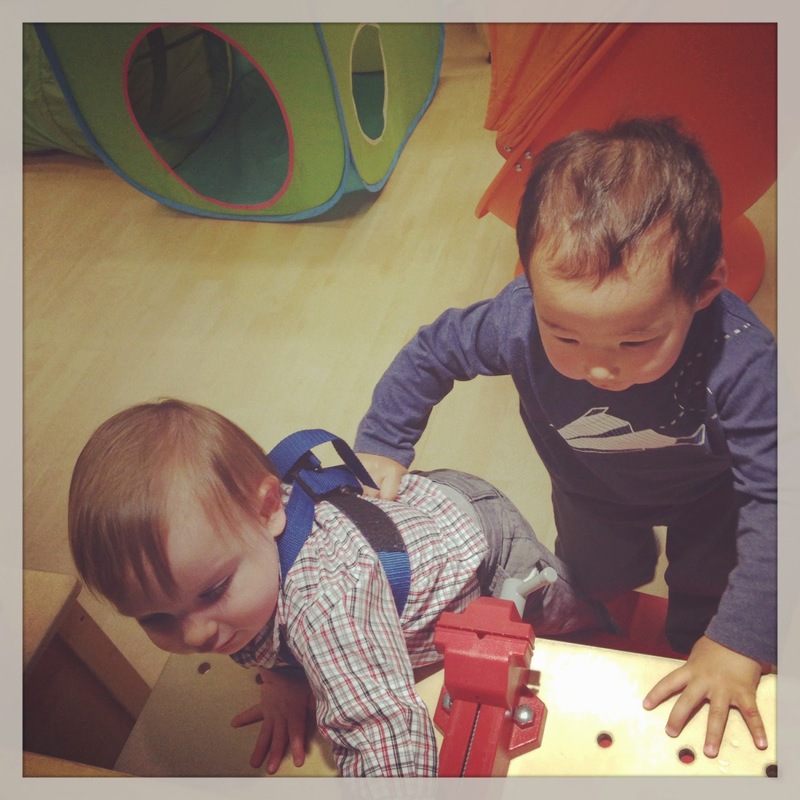 I never quite know what exhibit is going to grab Leo's attention during a given visit. One of our visits happened to be during Critter Day. There were several therapy dogs on sight. This was a great opportunity for Leo to get to know some very calm and friendly dogs. He's always been excited to see doggies, but when the reality of getting close enough to pet them sets in, he usually shies away. Over the Fourth of July holiday week, Granny came to visit. We took her on a whale watch to celebrate her birthday. Leo was probably a but young for this adventure, but we had a lovely, if not stomach turning boat ride. If you recall, the Fourth this year was a complete rain out. 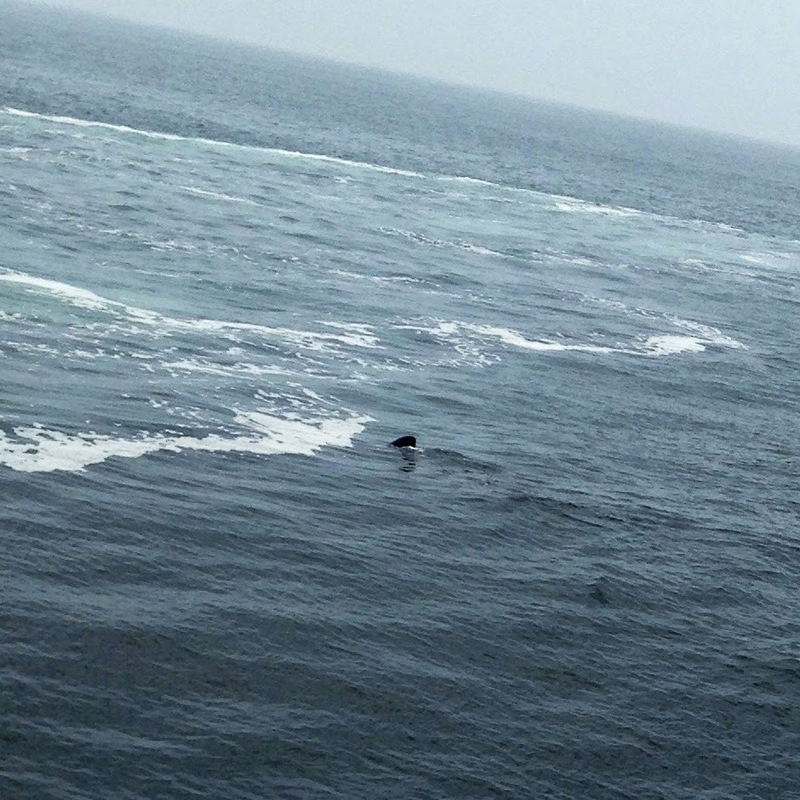 Our trip was the day before, and I think the seas were already starting to show signs of the storm. Unfortunately, the impending storm also messed with the typical feeding patterns of the whales, and it was an unsuccessful trip. Though we didn't get to see any whales, we did see a shark just before we had to turn back for shore. Because of the no-show whales, we got a rain check that we can use again any time in the future. 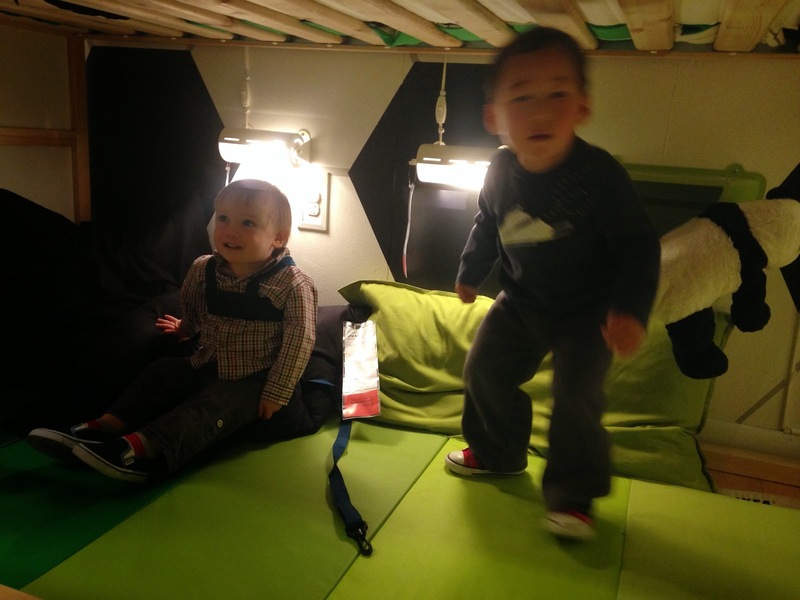 So, we'll be able to take another trip someday when Leo will be able to better understand what is going on. All in all, we were quite satisfied with the outcome of our adventure. 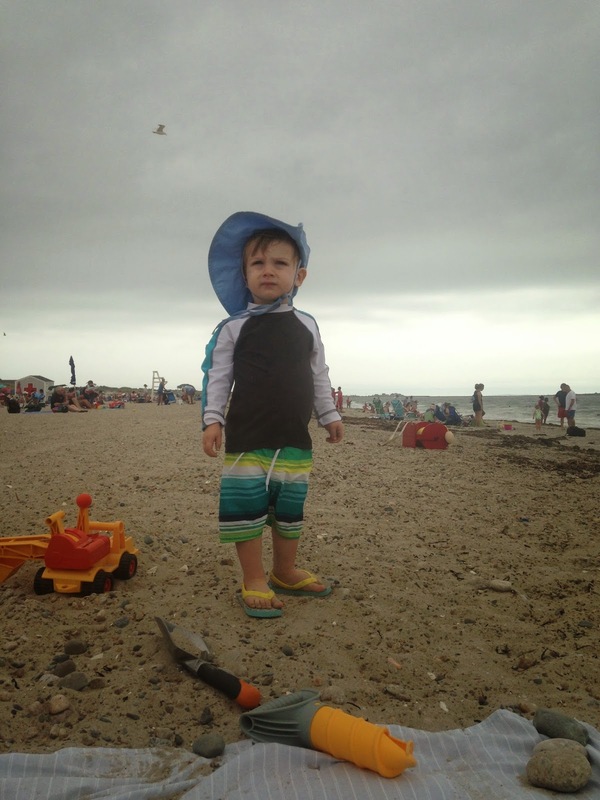 Leo's Gramma grew up in Revere, so every year we hear about the sand castle festival at Revere Beach. This year, Uncle Jeff joined us for some fun in the sand, and a tour of the entries. 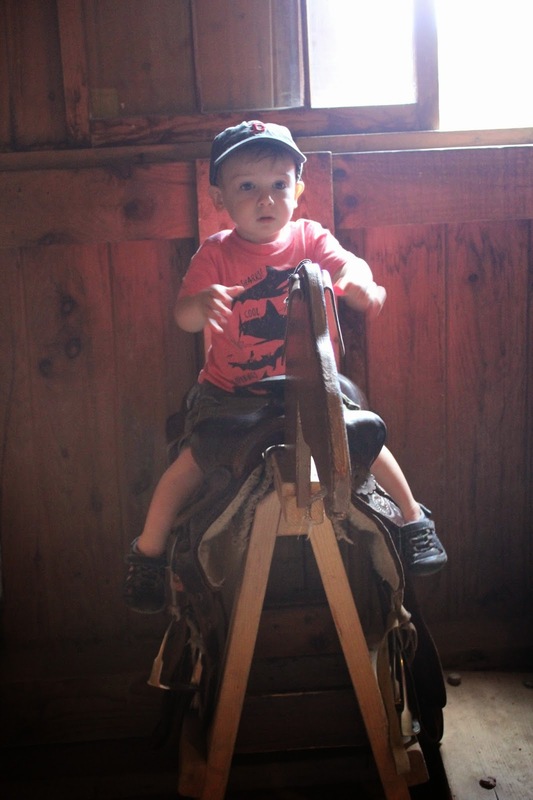 We didn't check out the rides, but in a few years, I'm sure Leo will enjoy those very much. 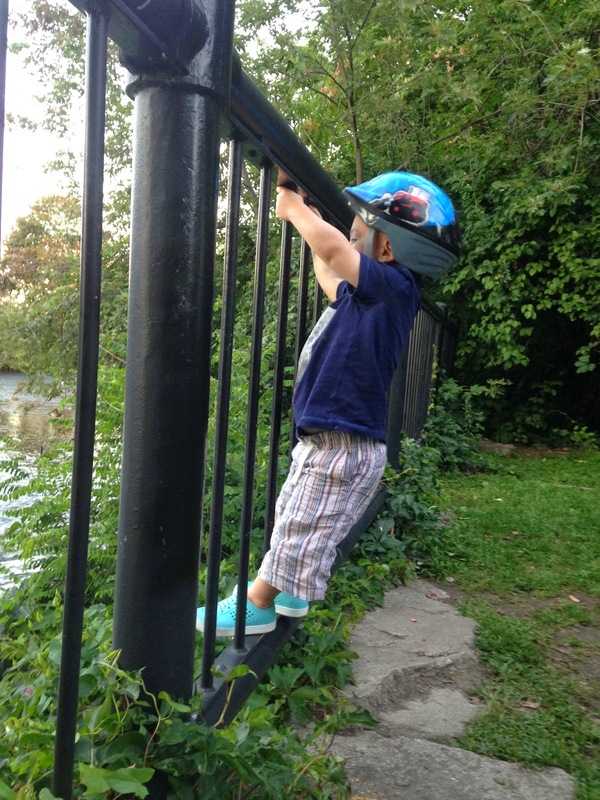 He's a daredevil and he seems to like being dizzy, so I have a feeling they will be right up his alley. For now, a little digging in the dirt does quite nicely. Now, I know you are thinking, wow, this was a jammed packed summer. But you know what? I'm even not done yet. Seriously. It was a blast. And I'll be back with one more installment to fill you in on the rest of the details. Labor Day is often considered to be the last official day of summer. Anyone who knows me and my love of swimming knows that I will hold on to any day above 75 for as long as I can, and try to find ways to get wet. But still, it seems like a fitting time to reflect on what has been a summer that truly sparkled. I've been so busy going on adventures with my boys, that I haven't managed to visit this space as often as I might like. Though, I think I mentioned when summing up my 100 Happy Days Challenge, that I'm ok with that, because I've been living in the moment, and really enjoying myself. 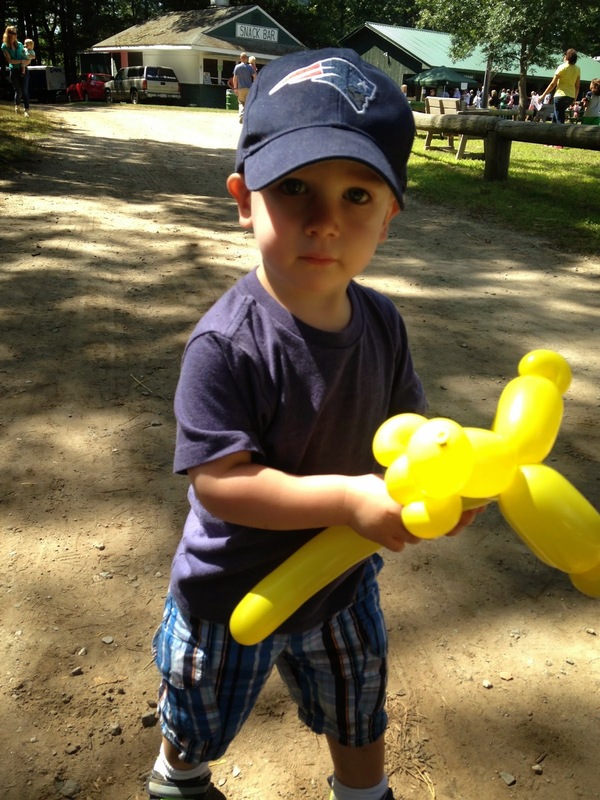 Still, I want to share some of our adventures for nostalgia's sake, and for others with small children in the Boston area who are looking for great things to do with their kids. One amazing place Leo and I frequented is Walden Pond. Yes the very one made famous by Thoreau. I always knew it wasn't far from my house. But when I discovered that it's a less than twenty minute drive through the beautiful country side of Lincoln, and only $5.00 to park, it became a go to destination. And you can bet I will be buying a season parking pass next summer. The pond is beautiful, surrounded by forest, with crystal clear sparkling water. 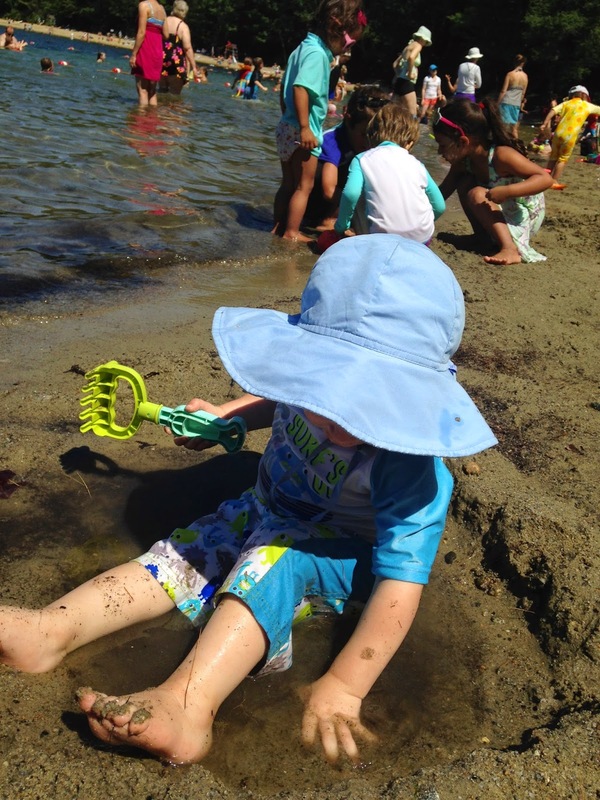 There is plenty of sandy beach perfect for toddlers. And you can even find some spots that stay shady for most of the morning. Depending on your comfort level, there are guarded and unguarded parts of the pond, which is also a popular destination for distance swimmers training for triathlon and such. 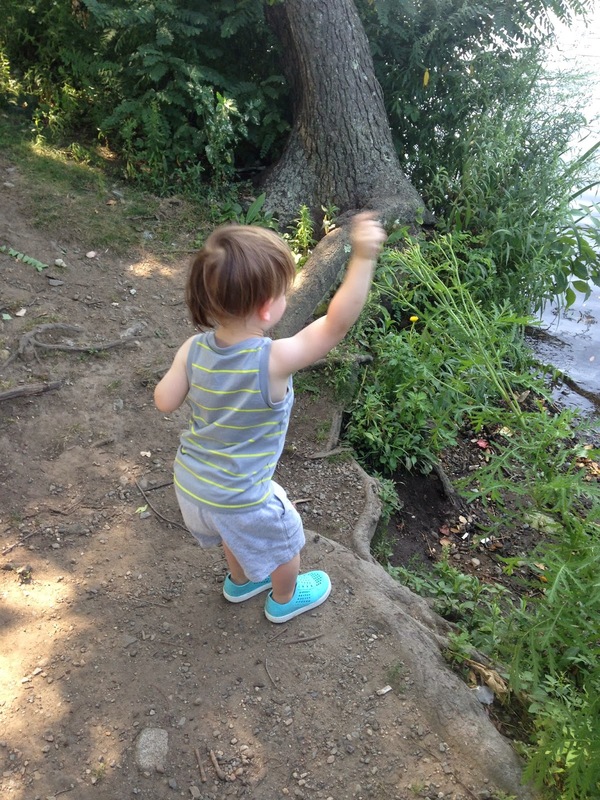 We found our way to the unguarded area often, because it was less crowded, and Leo was able to engage in one of his favorite activities, throwing rocks. 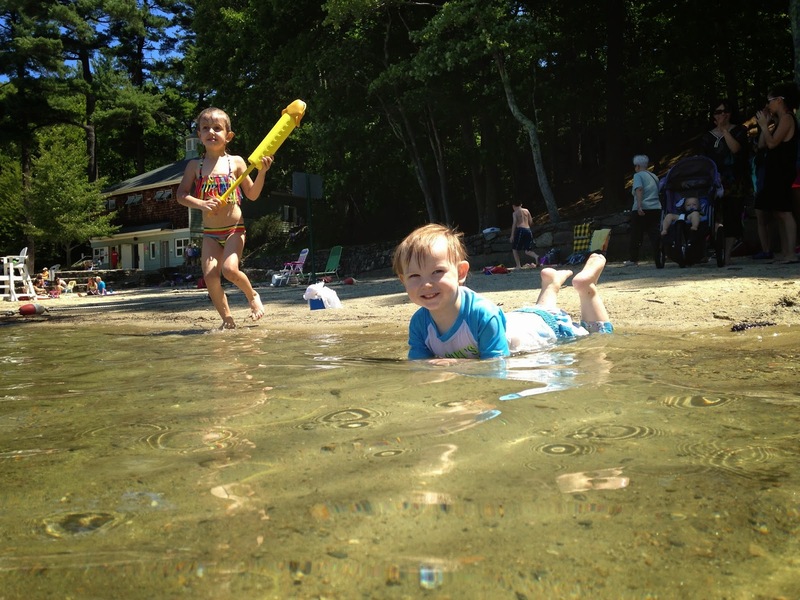 Walden Pond is a perfect destination for toddlers, not only because there are so. many. other. 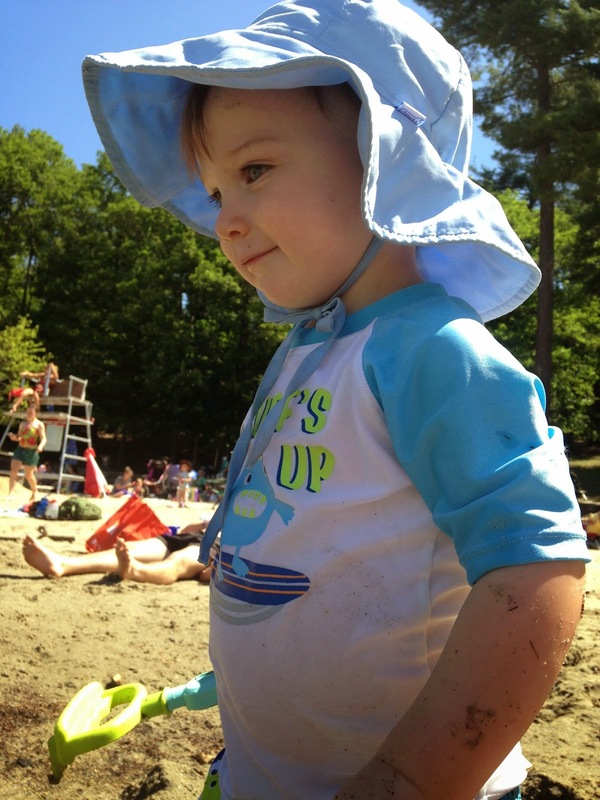 toddlers, but because the water is warm, and shallow, and there are no waves. It was incredible to watch Leo's comfort level with the water increase with each visit. He was able to wade in to a depth that made him feel comfortable without needed to dodge waves, or just jump into a pool from a ladder where his feet wouldn't touch the ground. One thing we did learn though, is that no matter how many interesting toys we brought of our own, the ones that belong to someone else are always more desirable. At least we made a few friends this way. Greg and I both took a week off from work in August. We were able to get away to Martha's Vineyard for two nights with a group of our friends who go every year. The rest of the week, we had a fantastic staycation with the little man. We made it our mission to check out a few new destinations. 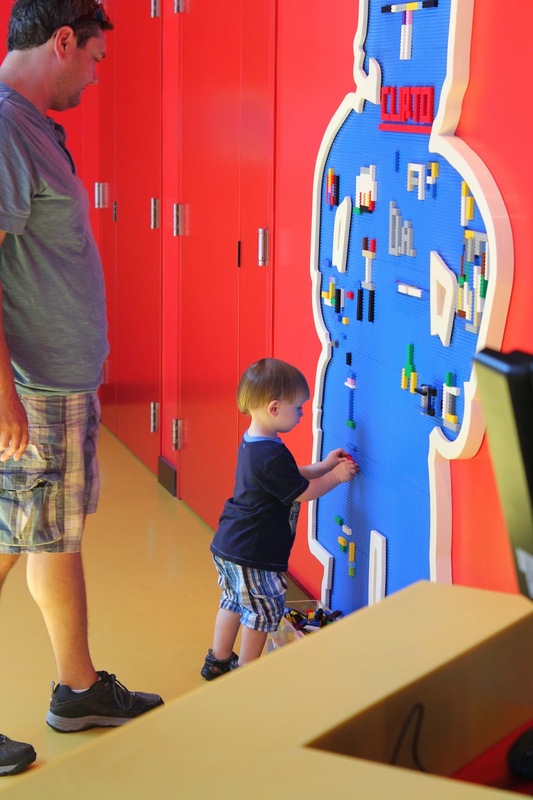 The new Legoland Discovery Center kept us busy one morning. It was fun, but I'm not sure it exactly lived up to the hype. 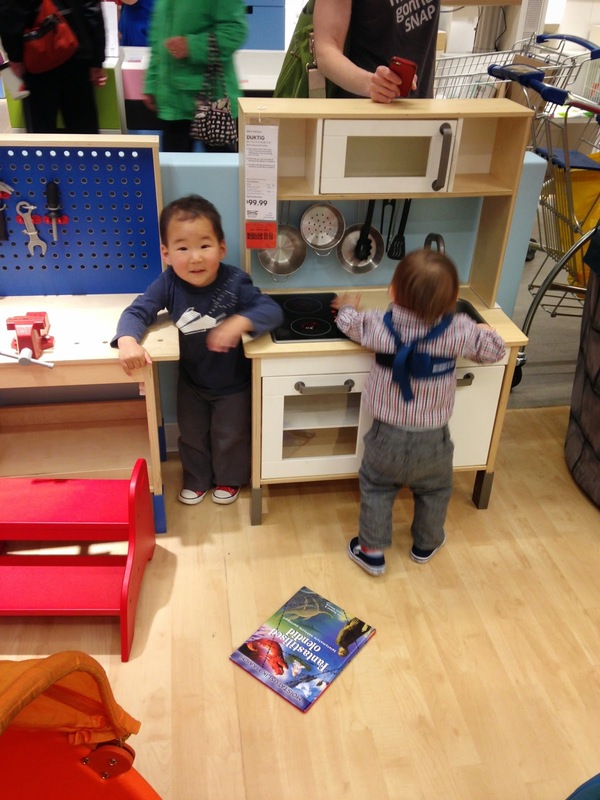 It really felt like a lego themed indoor play ground, with a price tag much higher than your typical Gymboree. The entry sequence was tedious. We reserved tickets online, but then still had to wait in a line for about 20 minutes to check in at the register. Then we had to wait in a line to get our picture taken while we also waited for the elevator. Then we had to wait in a holding room outside the elevator once we got upstairs. Then we had to watch a movie which was billed as the lego factory tour. Then, we were finally released into the space, and greeted with yet another line to get on one of the two rides. If there was a way to by pass all the waiting, it was in fact a fun lego playground. 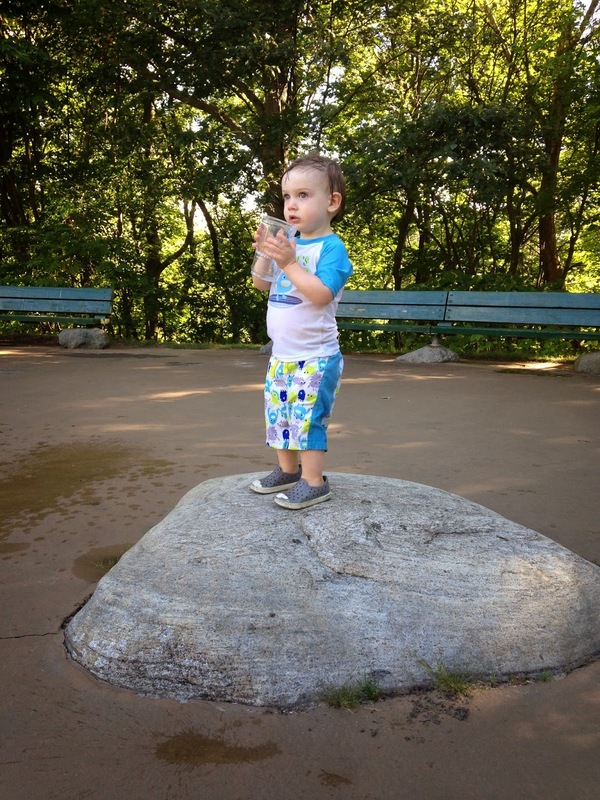 Though, I think Leo will enjoy it more in a few years, as he was too small for one of the rides, and not confident enough to go in the climbing structure alone. I couldn't go with him. 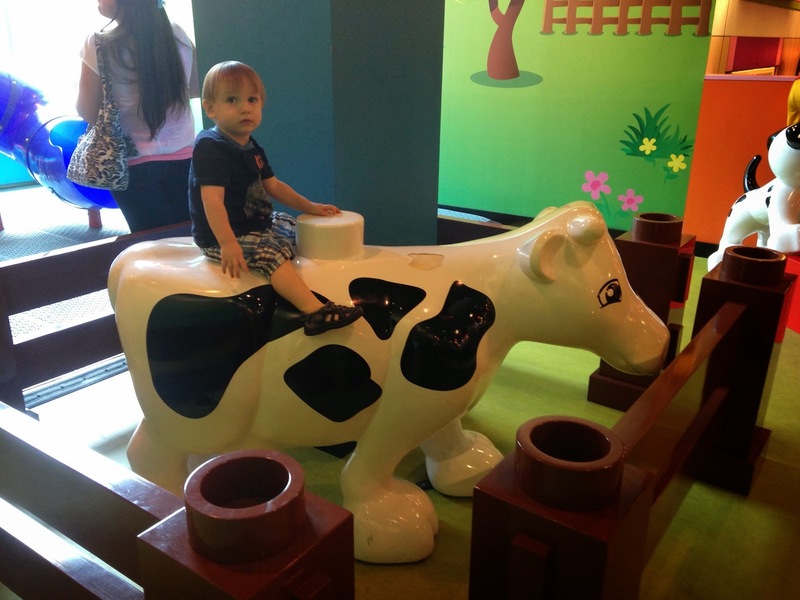 But Greg loved the fact that there was a shake table so he could test the ability of his duplo structure to withstand earthquakes. The highlight for big "kids" had to be the miniature Boston complete with a basement level Cheers bar. We also had a lot of fun building lego cars and racing them against others. 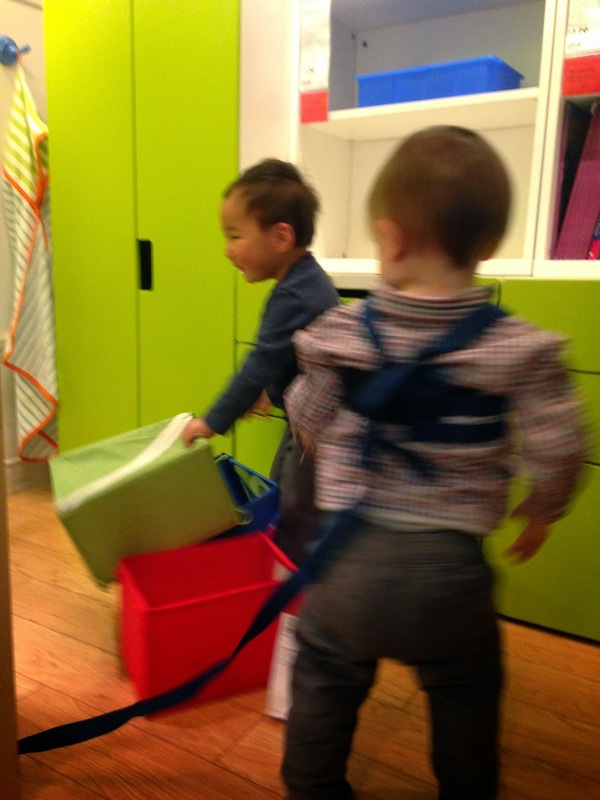 And, as always, Leo had a blast running around and checking out his new surroundings. Leo was too afraid to go down the slide at the top because it was an enclosed pipe and he couldn't see the end! 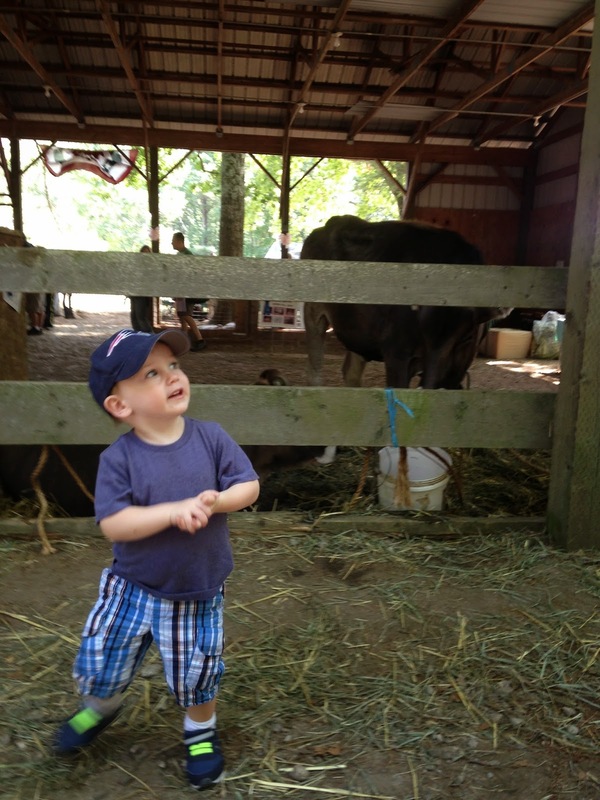 Another incredible destination we discovered that week is Drumlin Farm. 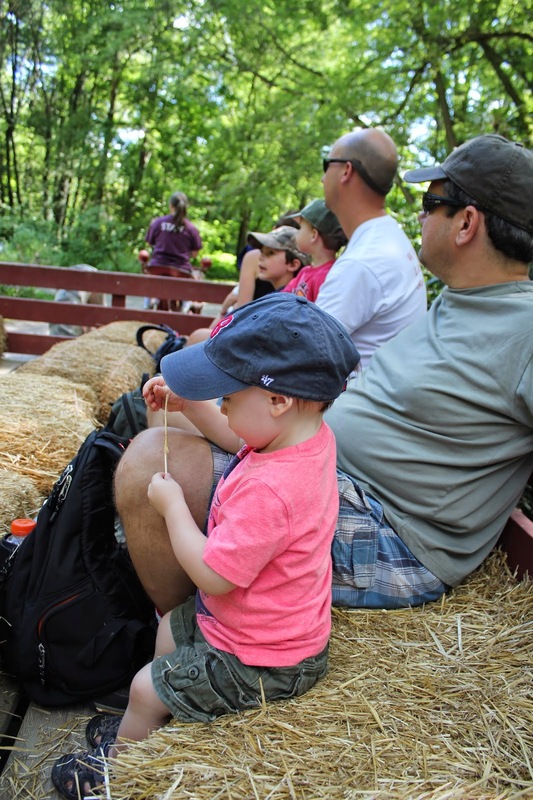 It's a working farm and wildlife sanctuary, also less than 20 minutes from our house, in Lincoln. I have to say, finding good toddler entertainment has led me to act like a tourist in my own back yard. I've learned about so many amazing places that I'd either never been to or never even heard of in my now, officially, 16 years of living in Boston. Anyway, back to Drumlin Farm. It was great! Leo loved running along the paths, watching all the other kids and wandering from barn to barn. We got to go on a hay ride. 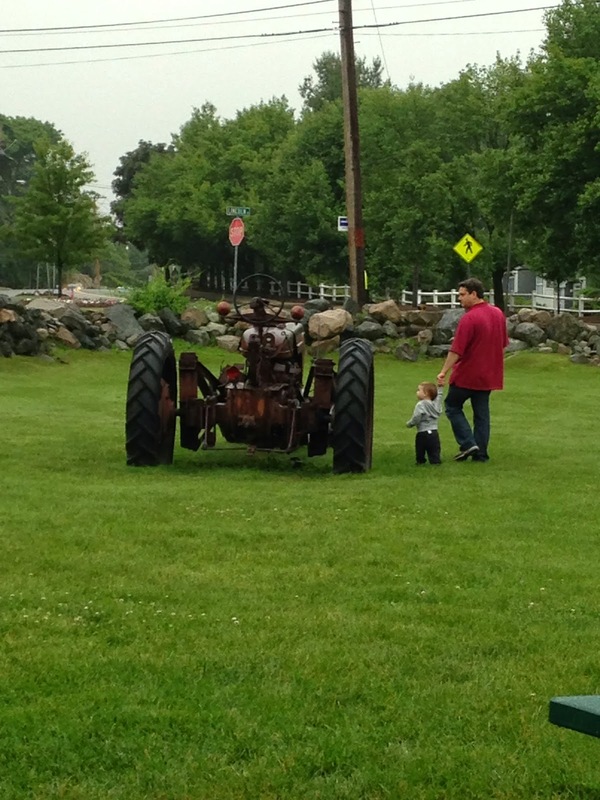 He now says "hay ride" every time he sees a tractor. There were sheep, cows, horses, chickens, pigs, you name it. He pointed them all out, and said "cluck, cluck, cluck...," as we walked past the length of the chicken coop. It was easy to navigate, and stroller friendly, for the most part. And the scenery was beautiful. I kept exclaiming to Greg..."can you believe this place is so close to Boston?" We will definitely be making a trip back in the fall to see the animals and check out the pretty fall colors. 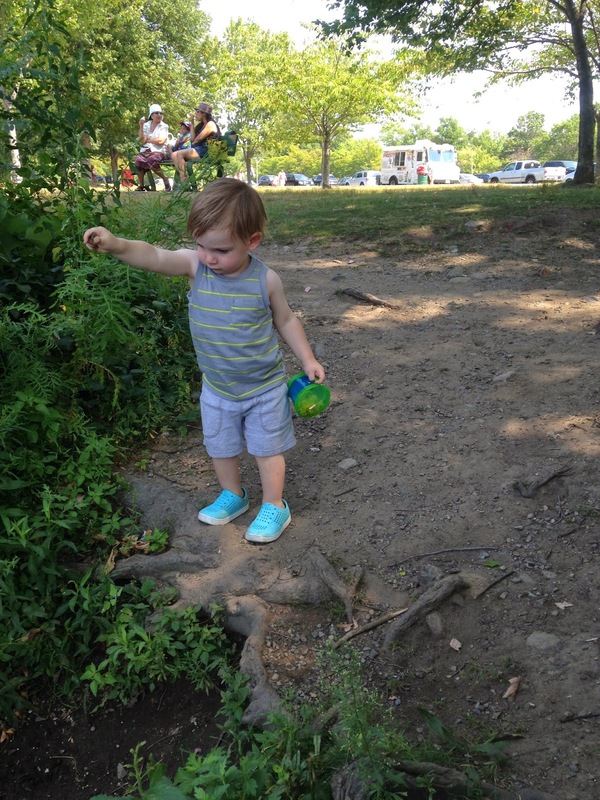 He even managed to find some rocks and a puddle to throw them into! The main events of our staycation seems like a natural place to pause. 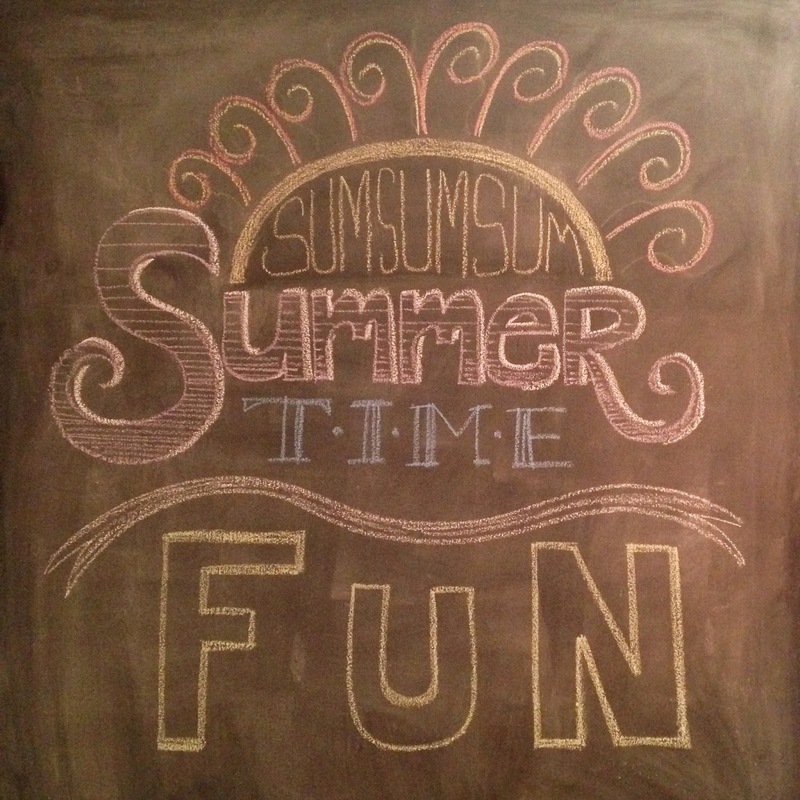 Stay tuned for the next installment of Sparkling Summer Fun!